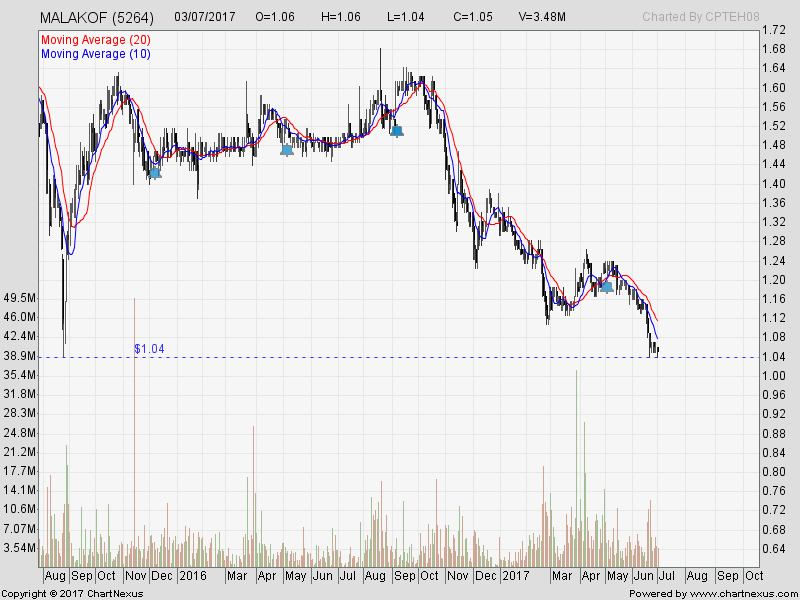 Malakof : This one I traded few times ... when it was below RM1.20 and sold at RM1.26, then caught back at RM1.18 ... cut-loss when RM1.10 broken ... only t buyback at RM1.04. Yesterday, I sold her at market RM1.04 ... moving out of her. 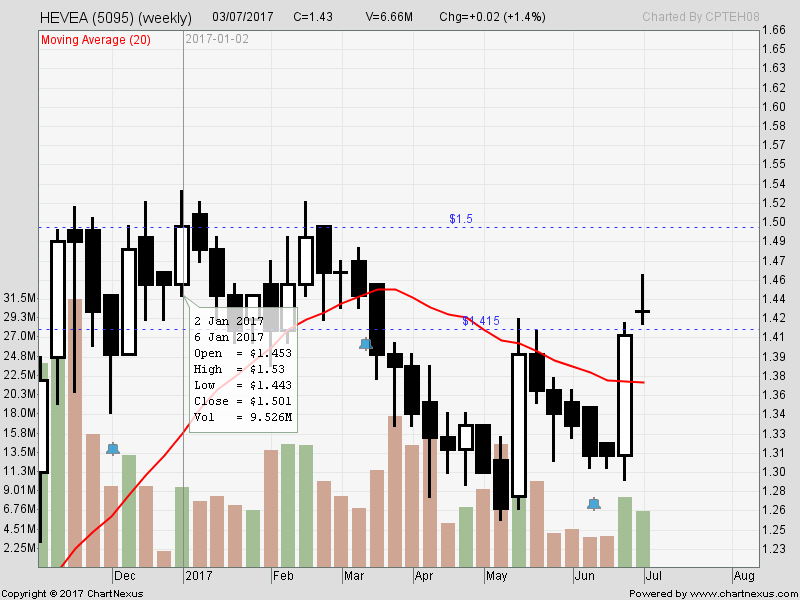 Will only focus in many of my up-trending stocks. 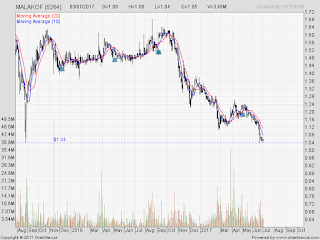 Hevea : I took Hevea-wb yesterday at 1.17 - 1.18 level ... posted this chart to my trading-group in morning when I took it. Last night, during e-meeting ... 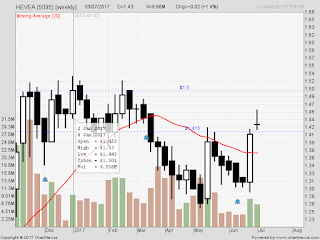 I mentioned about the 'bad-candle' of doji ... guess what ... it went to hit my target RM1.50 resistance ... so, I sol Hevea-wb at RM1.22. Due to some changes in policy "banning something" ... Hevea up above the immediate reisstance yesterday and for us to trade. Will update more of the stocks which I m trading ... I mean, traded. If you wish to follow my trades, join in my trading-group and it is one of the best learning-to-trade platform as I shown all 'live', including cut-loss and stocks I m 'stuck'. I believe in transparency and that is how I m learning too ... to be a good trader.